Even though I am continuing the same project from last year (how maternal stress affects the offspring in fence lizards), there are still some striking differences. 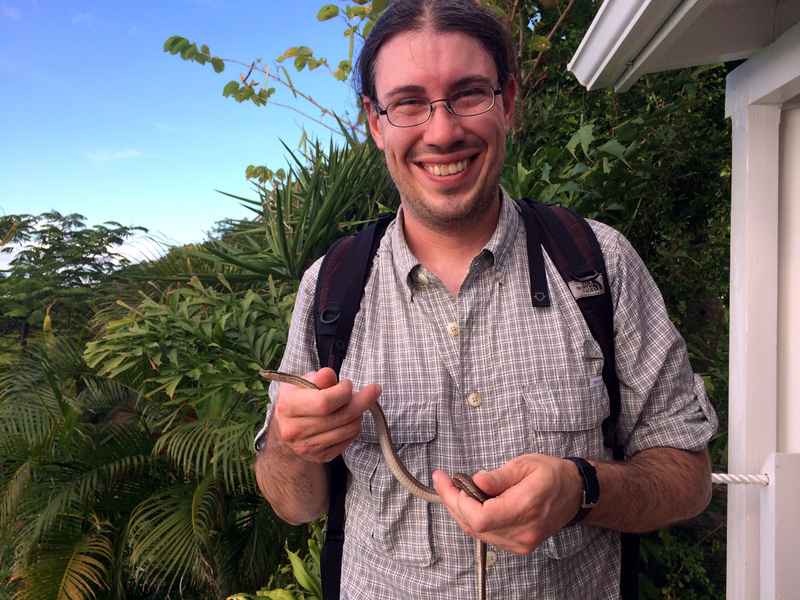 One of the biggest is that there are fellow grad students and a post doc this summer! From left to right: Cameron (PhD), myself (PhD), Kirsty (post-doc), and Dustin (PhD). Also, last year we made the drive in one day, however this year we broke the drive up over 2 days. This gave us an excellent opportunity to experience different parts of the USA on our drive. For the night we stopped in Knoxville, TN and had dinner at an amazing place called Calhoun’s On The River. True to its namesake, it had a beautiful view of the Tennessee River! After all the driving, we finally made it back to Solon Dixon and started catching lizards. 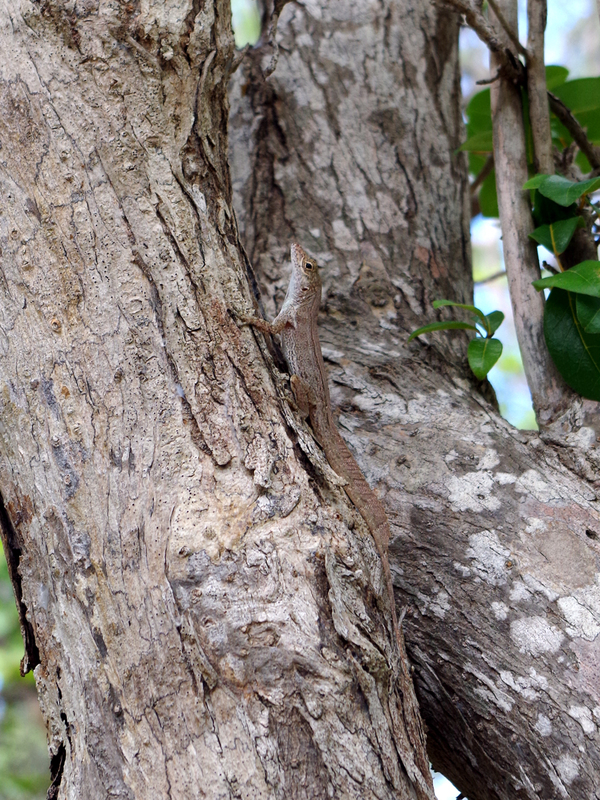 As usual, the lizards’ personalities were very evident. Apparently the female lizards found that corner of the tub to be very interesting. As I went to put this female back in her tub, she refused to let go of my fingers! 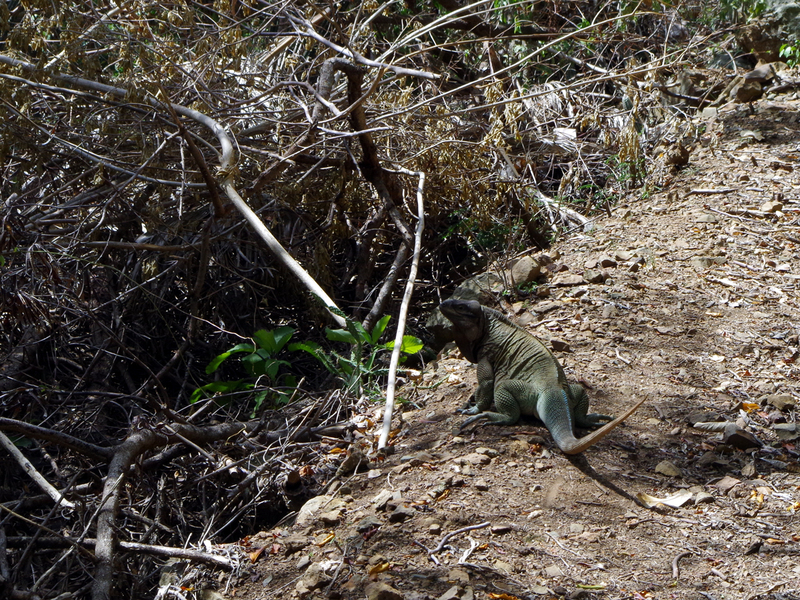 On top of finding many fence lizards, we were also about to see many other reptiles and amphibians! A barking tree frog tightly hugging my finger. An American alligator, at a very reasonable size to handle. A yellow bellied slider who found a little bit of water to sit in. As I spend more time down here, I find it rubbing off on me more and more. Very tempted to get a cowboy hat. After catching the females, our first trip came to an end. 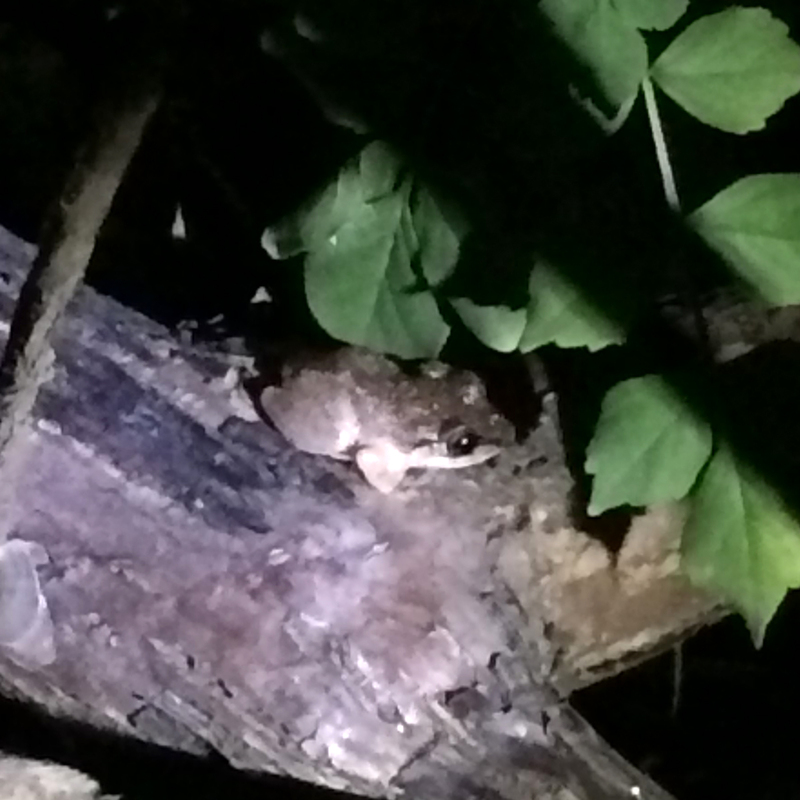 However, we were quickly back down to release the females and run experiments with the hatchlings. 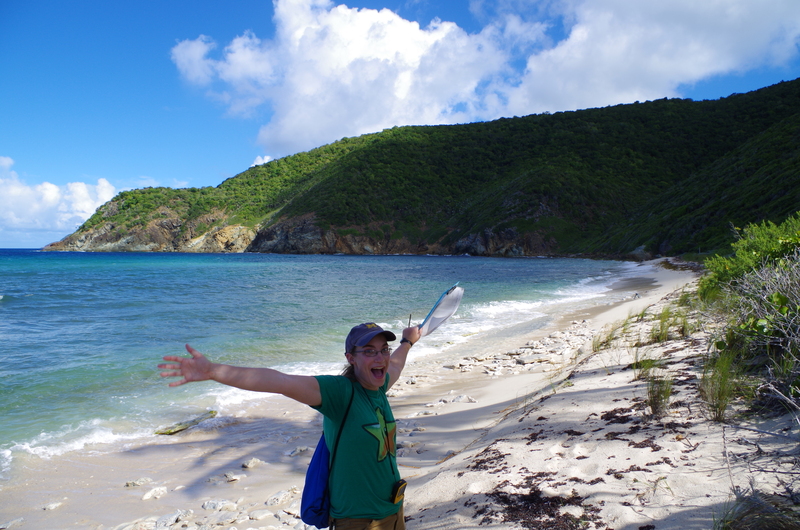 With us this time we had an undergraduate researcher, Jen! The Bayfront Park, overlooking Mobile Bay. Located right next to one of our field sites, Blakeley State Park. As we wait for more hatchlings to emerge, we have been focusing on removing fire ants from some of the enclosures we built. 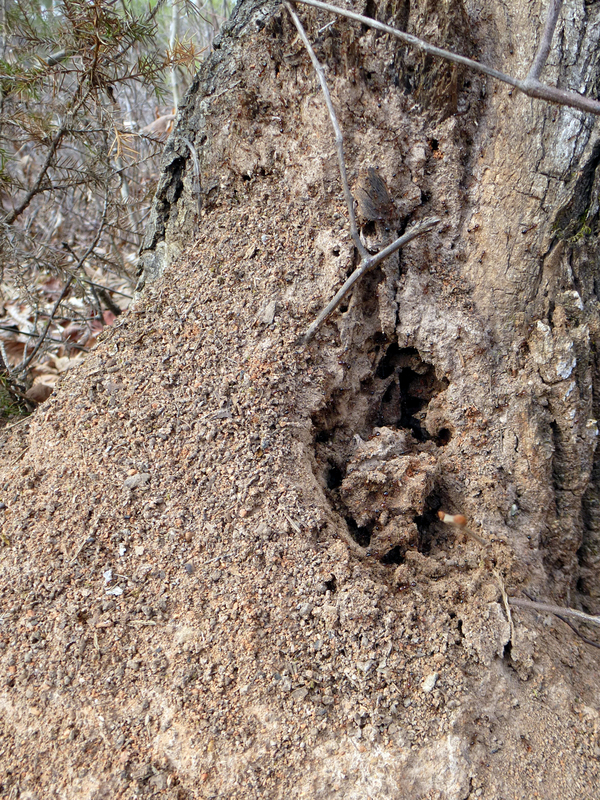 As fire ants are highest in the mounds earlier in the day, this means some early mornings. 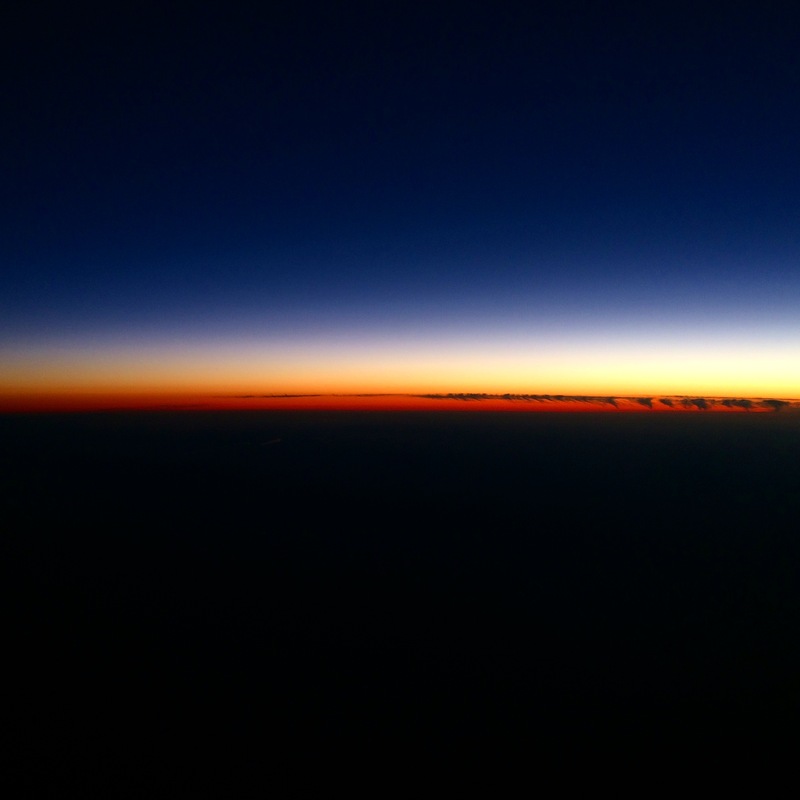 On the up side, it also means we always get to see the sunrise. Sunrise right near the enclosures. Most things have gone well, with only one piece of equipment starting to show signs of wear, but this just gave me an excuse to do some handywork! Used some steel epoxy to seal a leak in the pot we boil water in for fire ants. With the drier weather they are finally able to do prescribed burns. 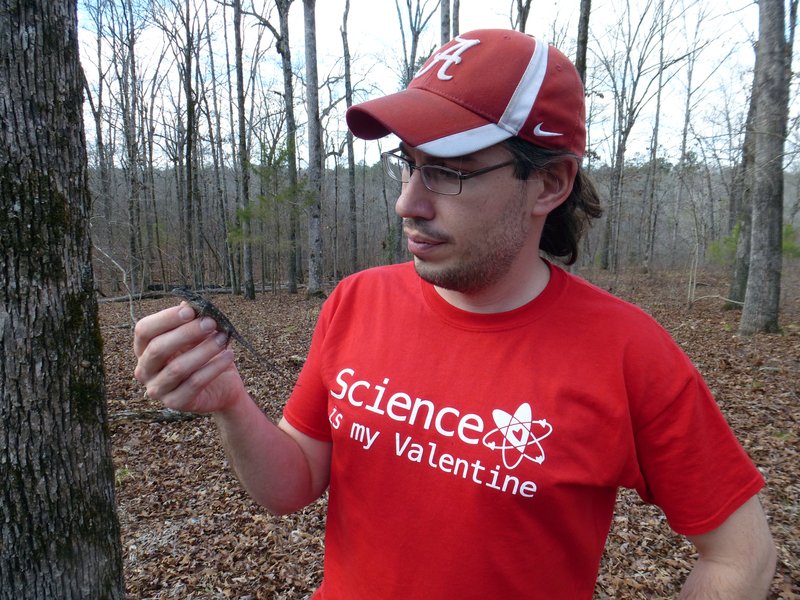 Categories: Summer 2016 Fieldwork | Tags: Alabama, amphibians, Biology, Eastern fence lizard, ecology, enclosures, fence lizard, fence lizards, field trip, Fire ant, fire ants, herps, Lizard, prescribed fire, Red imported fire ant, Research | Permalink. 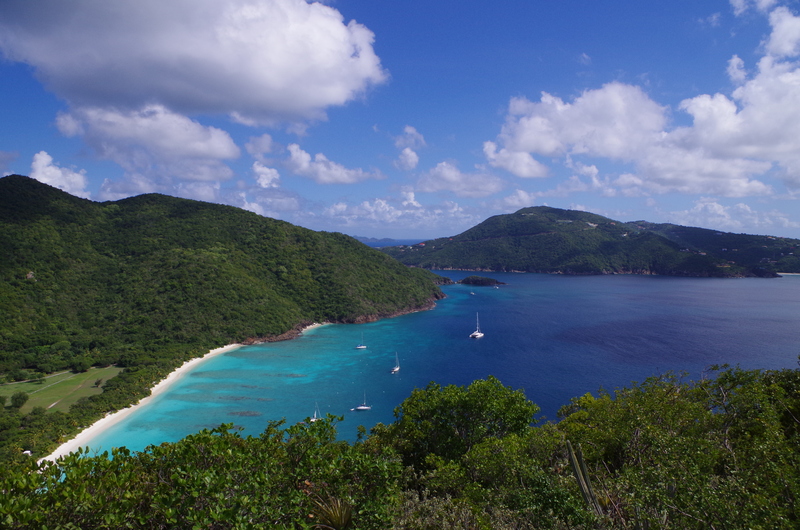 As Chris mentioned in a recently post, we both had the wonderful opportunity to do some research on Guana Island. And it was BEAUTIFUL! 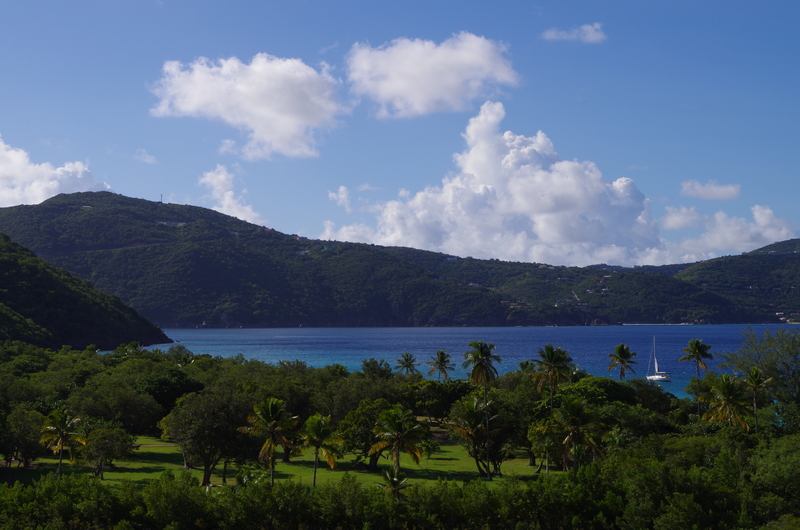 The amazing view from my porch. We had a number of projects to keep us busy. 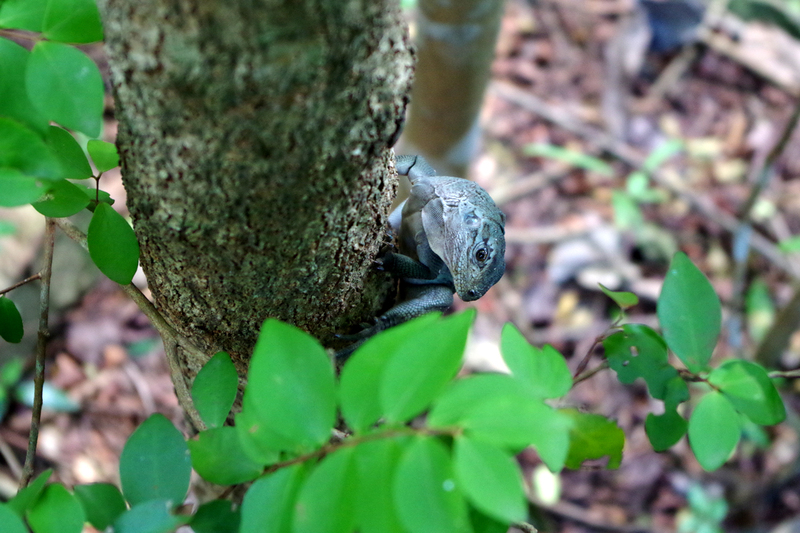 As Tracy described in a previous post, our lab and our collaborators are interested in how invasive fire ants (Solenopsis invicta) affect one of the world’s most endangered iguanas: the Stout Iguana (Cyclura pinguis). (remember this guy?) 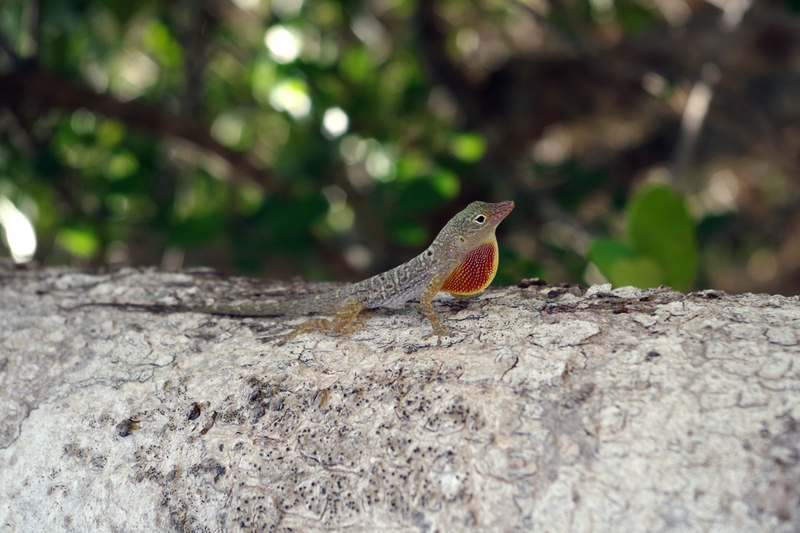 This year, Chris and I wanted to address whether fire ants are capable of preying on iguana eggs while in the nest. Thanks to some of Chris’s previous research, we know that fire ants are potential threats to fence lizard eggs: they are capable of foraging at depths of fence lizard nests, can find artificial nests, and can get through the shell of the egg to obtain a meal. 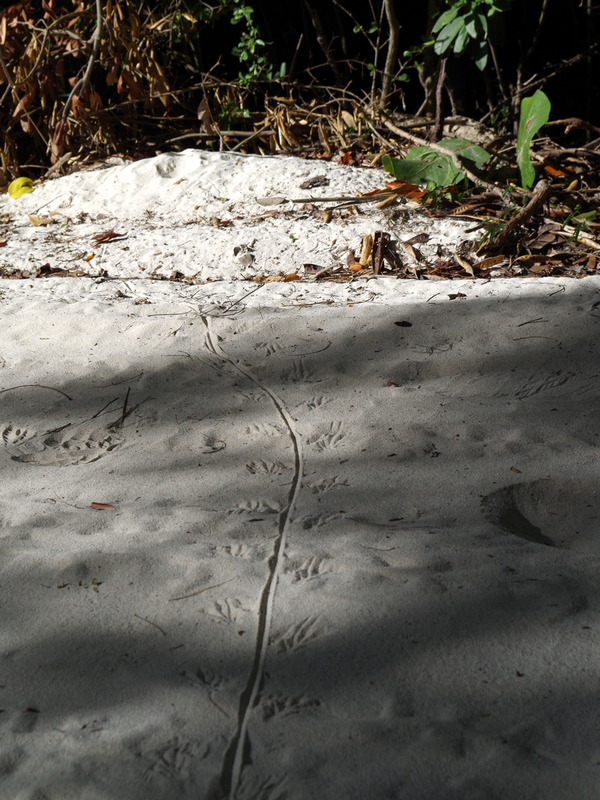 We wanted to know if fire ants could get to depths approaching those of an Iguana nest, which are deeper than those of fence lizards. 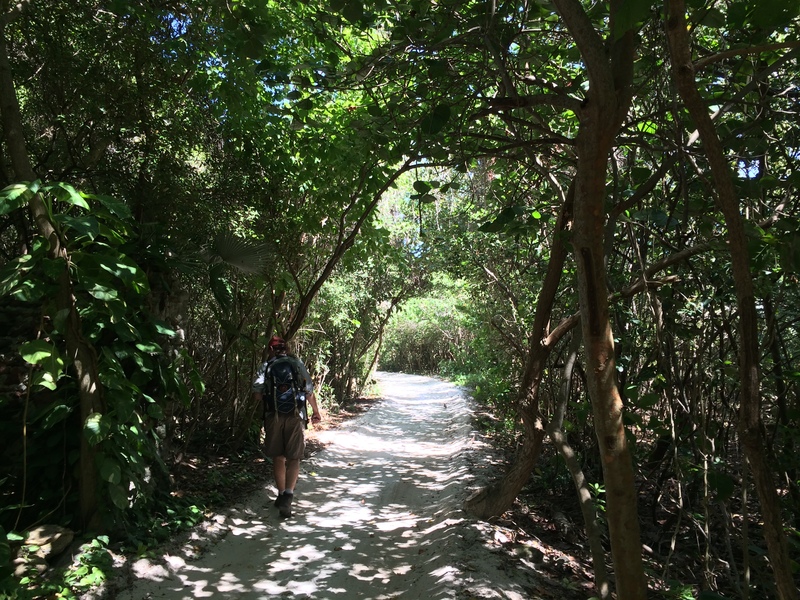 To do this, we installed fake “nests” next to clear plastic tubes in the beach and forested area nearby. 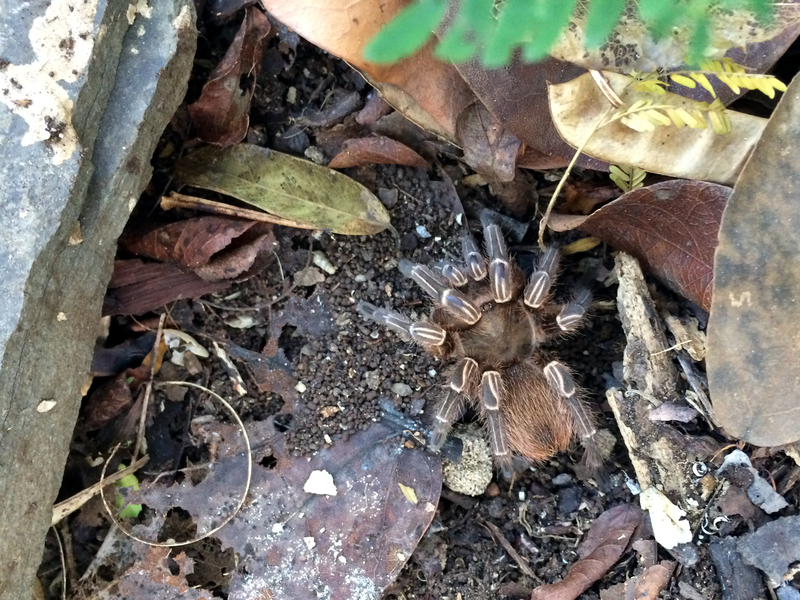 This involved digging a hole roughly 16 inches into the soil (or sand!) and inserting a tube. We then placed slices of hot dogs (faux “eggs”) along the outside of the tube at a standard depth and filled in the hole with sand. Every afternoon, we checked our mock nests by sliding a small camera down the tube and taking video of the hot dogs through the tube wall. We immediately checked these videos to determine if any fire ants were present (or beetle larvae, as we observed in one case!). 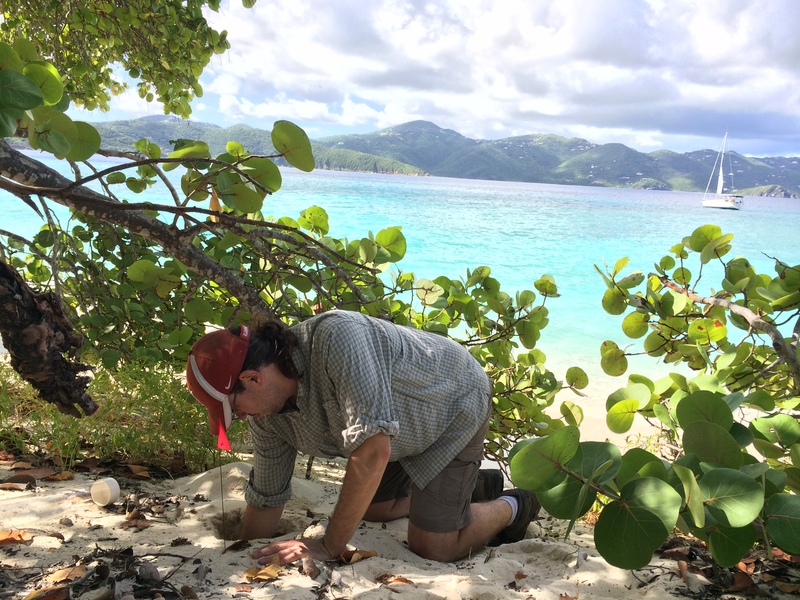 Chris digging a hole on the beach for our nesting experiment. Tube in place before we filled in the hole with sand. 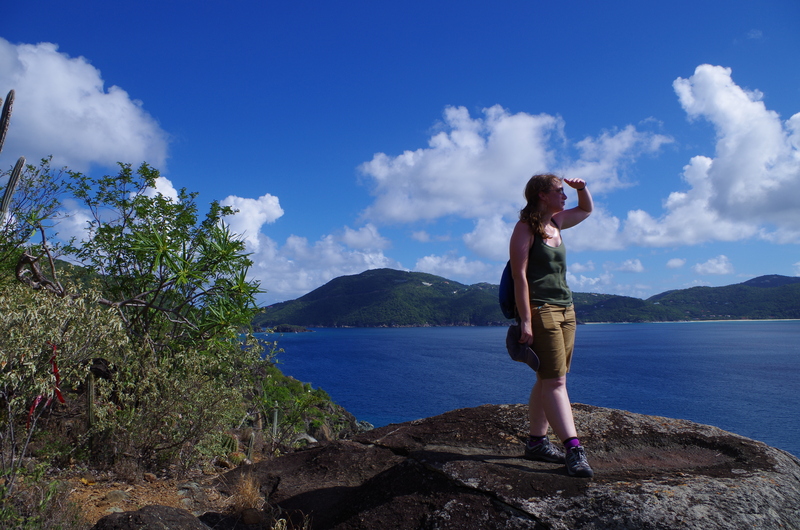 During our stay, we also continued to survey the island for fire ant mounds. 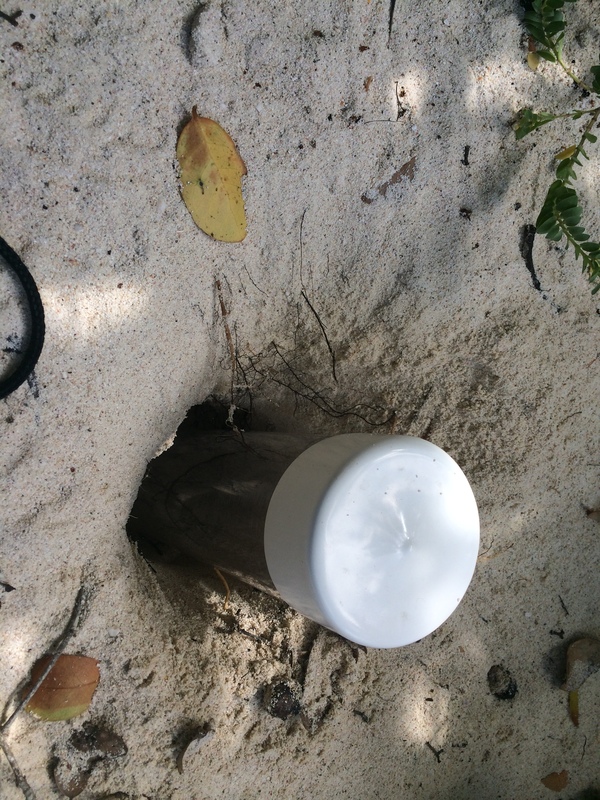 Our lab has collected this since we started working on Guana in 2010, and the resulting maps help us monitor the spread of fire ants on the island. Looking for fire ant mounds. Crabs like peanut butter too! Chris and I had 6 days of hard work and amazing views, but we eventually had to return to the Pennsylvania fall. Next step: data analysis! 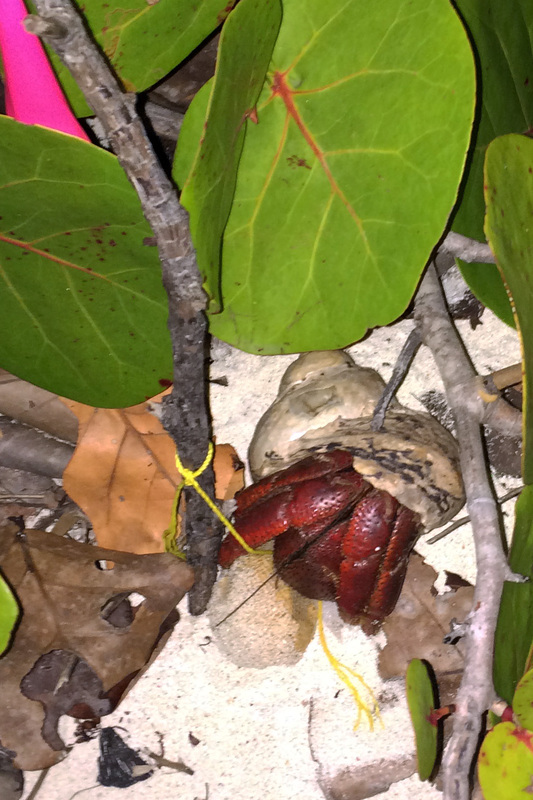 Categories: Fun in the Field | Tags: ants, Biology, ecology, eggshell, fire ants, Guana Island, invasive species, Predation, Stout Iguana | Permalink. While on a quick Spring Break trip, I needed to get a herp fix since I’ve been stranded in a land of ice and snow (errr, State College) for the past four months. Alabama to the rescue. While I mostly just hiked in the glorious (to me) 65-70 degree weather (and did manage to actually get a sunburn on my pasty white arms), I did see some herps along the way, whether by flipping a random rock and log or just stumbling across the odd lizard. 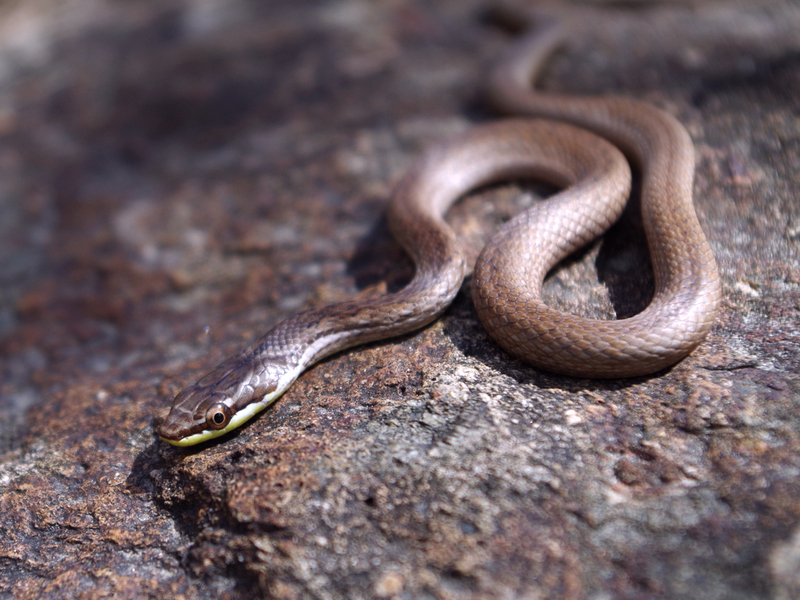 Here are some quick pics to tide you over the next month or two until spring unleashes warm enough weather for the herps to come out in force a little farther north. My first fence lizard of the year! This lady was quite cold but basking at the base of a tree trying to get a jump on her activity season. 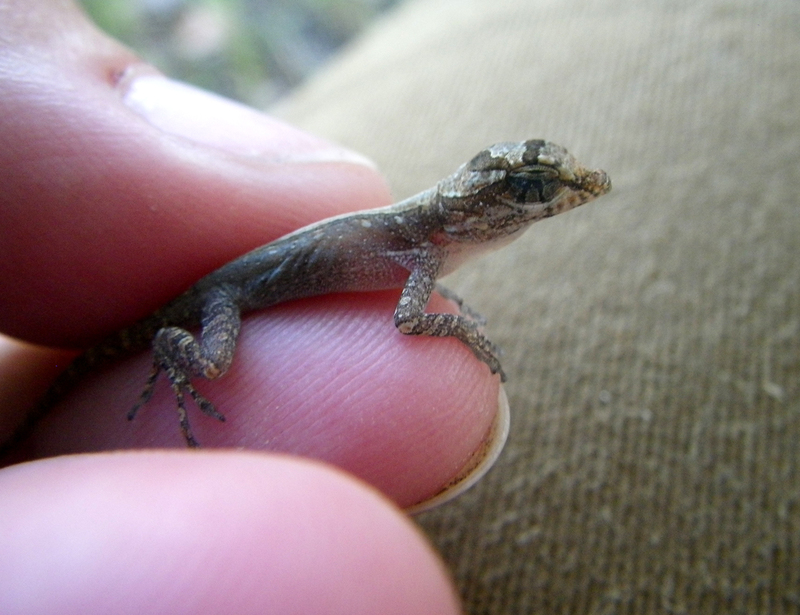 After quickly catching the fence lizard (hands only…how a real lizard ninja does it!) I contemplate just how the heck I’ll set up my projects this summer. Fire ants were still active as well, although they needed a little motivation (errr, an attacking stick) to get them to show themselves in the cooler weather. 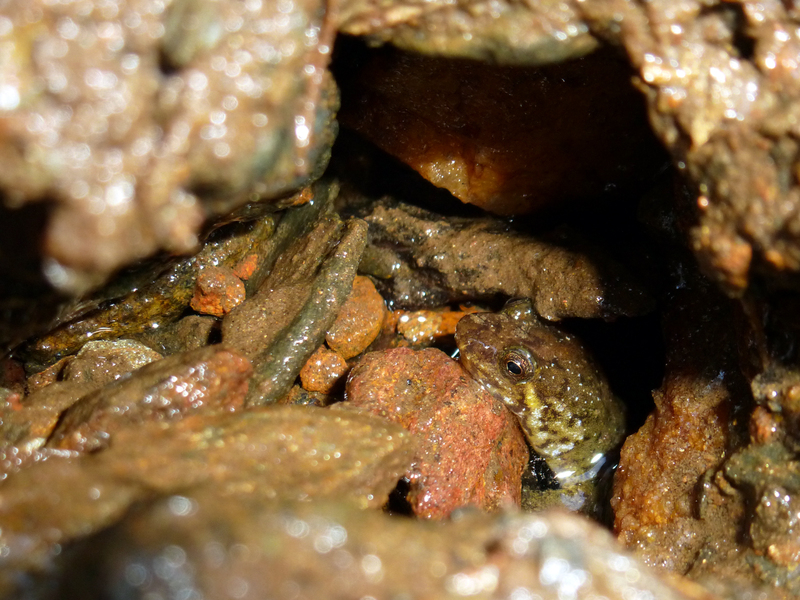 A seal salamander (Desmognathus monticola) works on its tan streamside in the mountains of northern Georgia. Another desmog takes a peek out of the stream to cast a wary eye at the bumbling human who just pulled a rock away from its burrow mouth (I put the rock safely back). 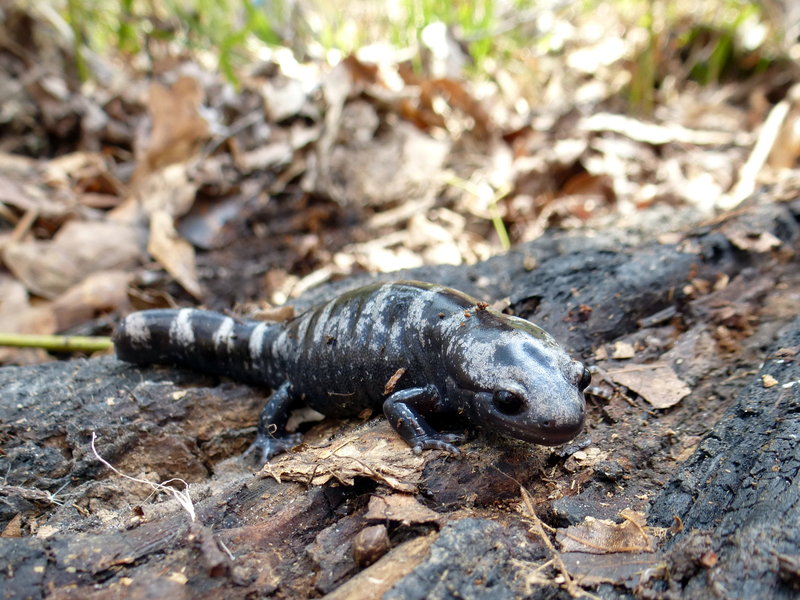 A marbled salamander (Ambystoma opacum) squints its eyes in the bright light after being found underneath a log in southern Alabama. Welp, that’s all for now! 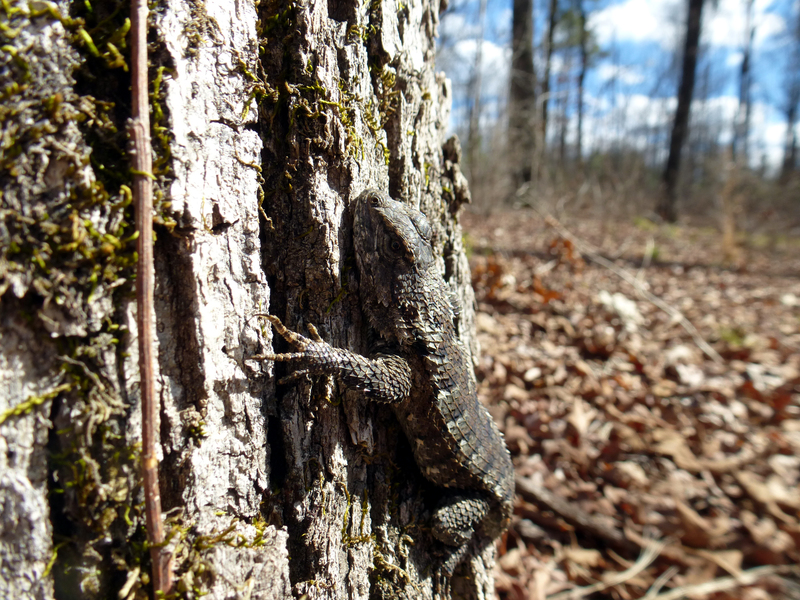 Hopefully a panoply of critters will be out here in PA soon enough, and we’ll be rolling in fence lizards (and hopefully not fire ants!) in the near future. 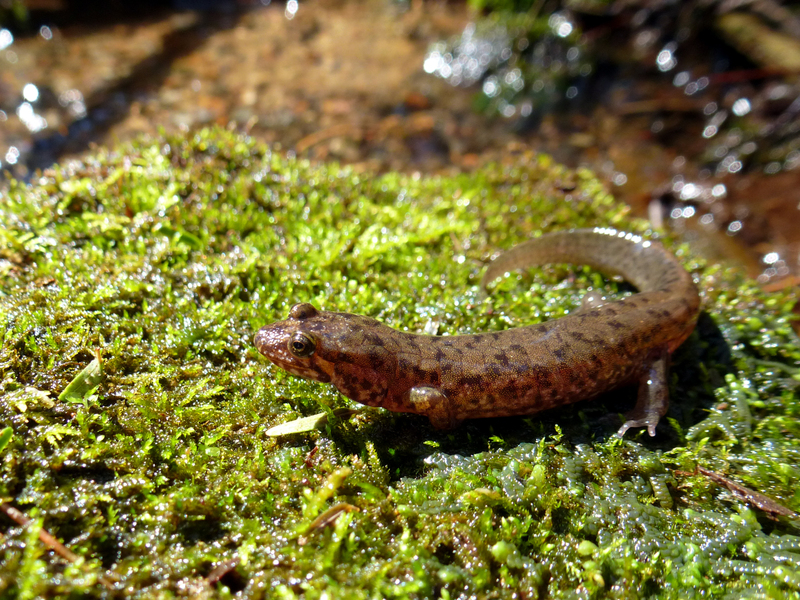 Categories: Fun in the Field | Tags: Alabama, Ambystoma, amphibians, desmognathus, Eastern fence lizard, fire ants, herps, salamander, Sceloporus | Permalink.